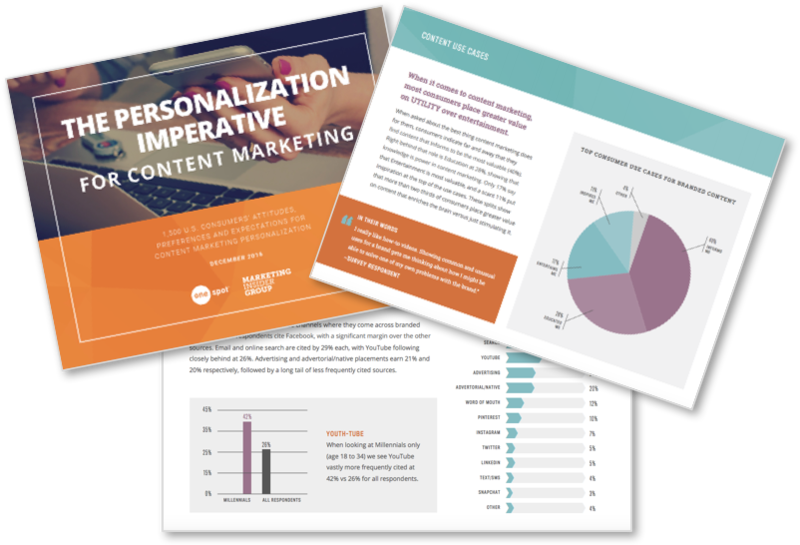 OneSpot and Marketing Insider Group surveyed over 1,500 U.S. consumers to better understand the impact of personalization on their attitudes, preferences and expectations when it comes to content marketing. Nearly half of consumers won’t spend time with branded content if it’s not relevant to their interests. 88% of consumers say that personally relevant content improves how they feel about a brand. 50% of consumers surveyed cited Facebook as a primary discovery channel for branded content. 55% of consumers indicated that Amazon sets the standard for delivering personalized digital experiences. Consumers find content that “informs” (40%) and “educates” (28%) to be the most valuable.